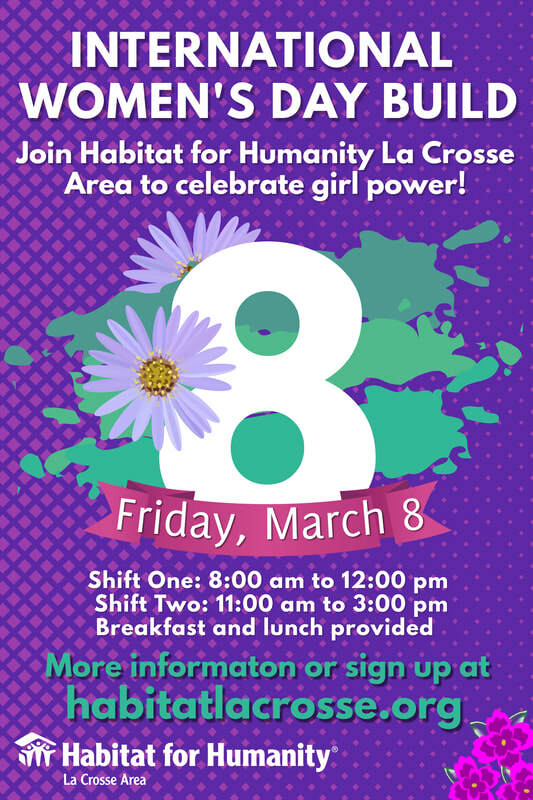 Are you interested in putting together a Women Build team to raise money for Habitat La Crosse and spend a day on the build site? Click here to learn more. This year, Habitat for Humanity La Crosse Area is hosting an International Women's Day Build. We are using this opportunity to celebrate the power of women and volunteering in our community. No Experience Necessary –Training is Provided. If you don’t have any construction skills, don’t worry! Many women come to Women Build sites with no construction skills at all and still make a great impact. So come out and learn a new skill or put your current skills to use!